The 38 O’Brien is the latest model from the O’Brien Boats stable, with construction of the new model completed in late 2016. 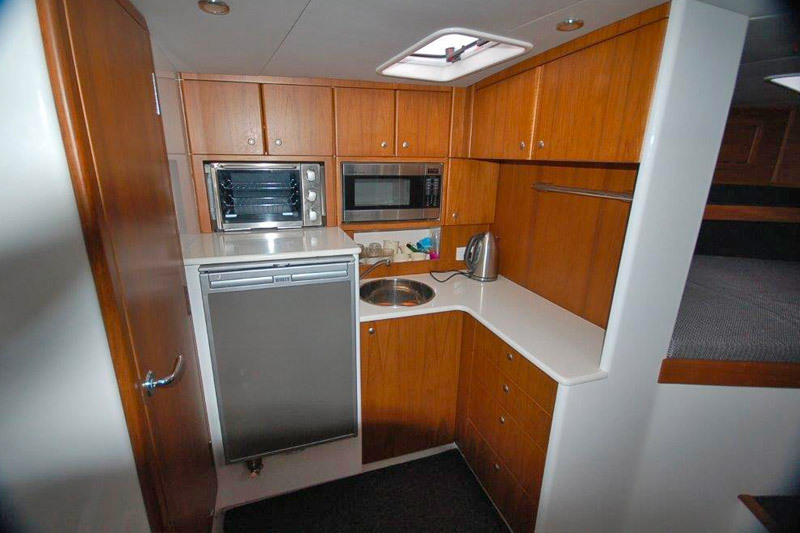 The 38 was built keeping in mind that with under 12m length, it can be skippered with a coxswain ticket. 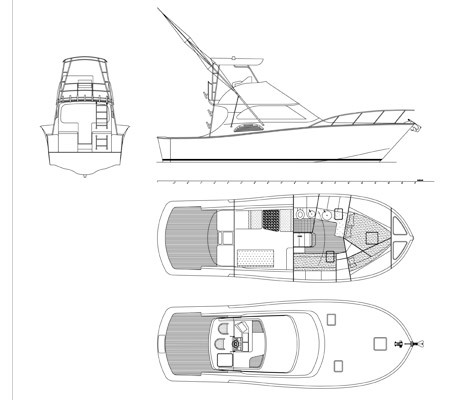 Built also with the O’Brien’s years of experience in gamefishing to incorporate all elements required in a game boat; performance, reliability, economical to operate, easy to maintain and can more than hold its own fishing among bigger boats. 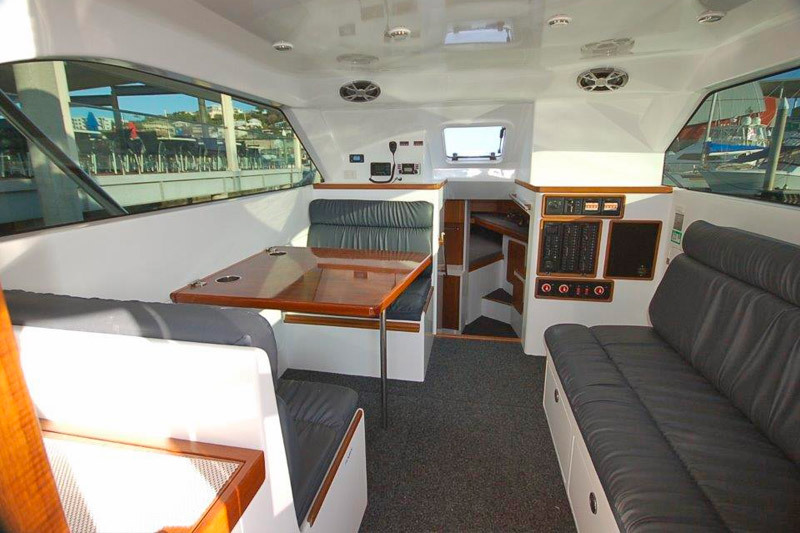 The 38 model can be custom built to any personal need and specifications. 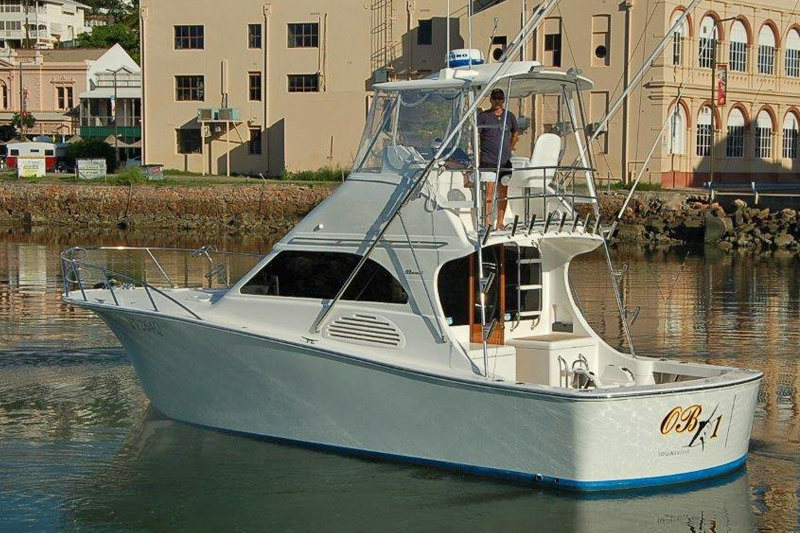 The New 38 O’Brien has been built in full NSCV 2C survey and was designed to our own personal specifications including fishing equipment setup, outriggers, rod holders, cockpit layout, freezer boxes, cabin layout, electronics – the list goes on. 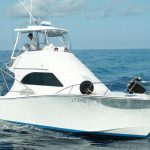 O’Brien Boats prides themselves on building custom designed boats to meet the needs of their customers. 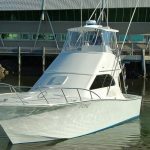 This New 38 O’Brien is one of the best fishing platforms Peter has fished from for its size – with a big boat feel, a soft dry ride, great get up and go in reverse, and great maneuverability when chasing hot fish. 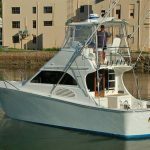 We believe she is the perfect full blown charter boat ready to take on the Cairns Heavy Tackle Black Marlin Season, or just a great family boat. 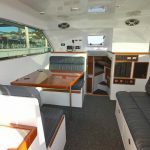 Custom built 38 foot O’Brien Boat (2015) with dual CUMMINS- QSC 8.3 RATED 500HP @ 2600. 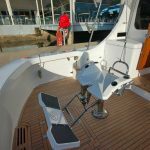 O’Brien/Reelax Custom Outriggers and Poles, Centre Rigger, Reelax HD Marlin Chair and post mount. 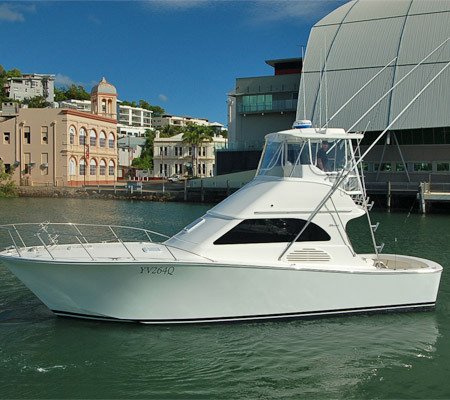 O’Brien Boats are hand built in Townsville North Qeensland Australia where they are custom fitted out to suit client’s specifications and requirements. 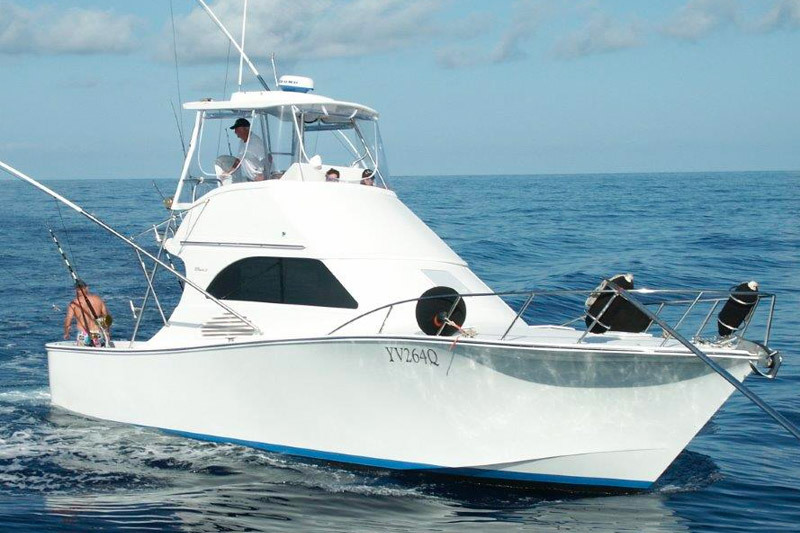 Each boat inherits over twenty-eight years of O’Brien Boats experience in the professional Game Fishing Charter Industries. 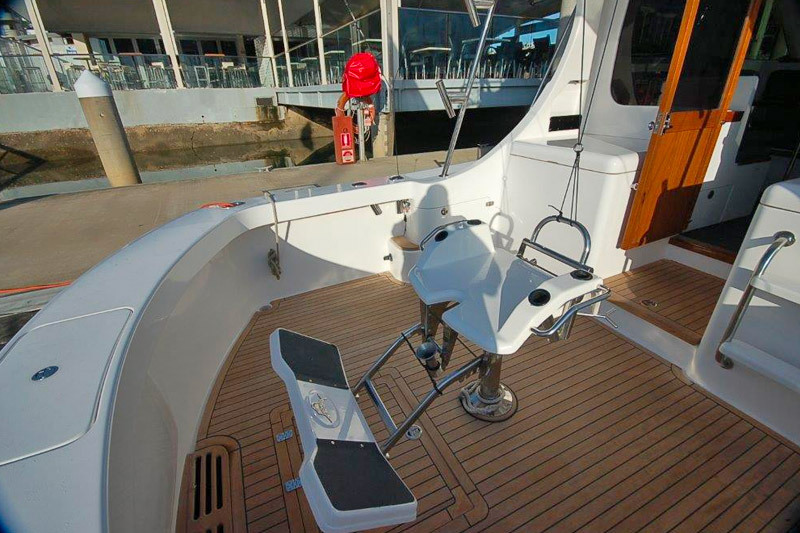 Enquire to Peter O’Brien peter-obrien@obrienboats.com.au | 0428 778 374. Peter O’Brien has been described as “boatbuilder extraordinaire”, a title readily endorsed by his customers. 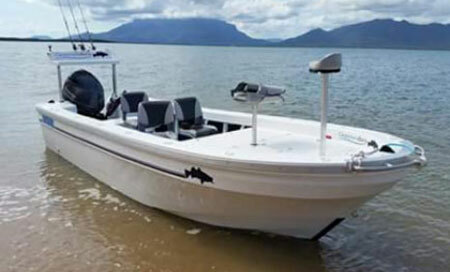 A legendary name in gamefishing circles, the Townsville-based O’Brien has built his reputation on the back of decades of boatbuilding and fishing experience. Originally a shipwright by trade, he set up his own business in 1978 and has gone on to build game boats up to 56 ft that have earned rave reviews. 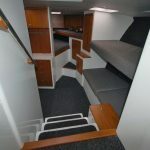 These days the O’Briens make up some of the most famous names in the professional charter fleet including the flagship 56 KEKOA skippered by Capt. Luke Fallon, Top Shot skippered by Capt. Ross Finlayson, Calypso skippered by Tim Dean, Hellraiser skippered by Capt. Steve Ahlers and Arenui until recently skippered by Geoff Lamond in New Zealand. Behind Peter stands a very experienced team. Peter’s son, Leigh O’Brien (director) a qualified diesel fitter and charter fishing hand works for the company in the engineering and construction side of the business. 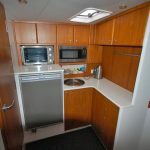 Leigh has also worked as deck crew during the Cairns to Lizard Island heavy tackle marlin game fishing season. Leigh has over two decades of experience in this area and the on-board research from a crew point of view. 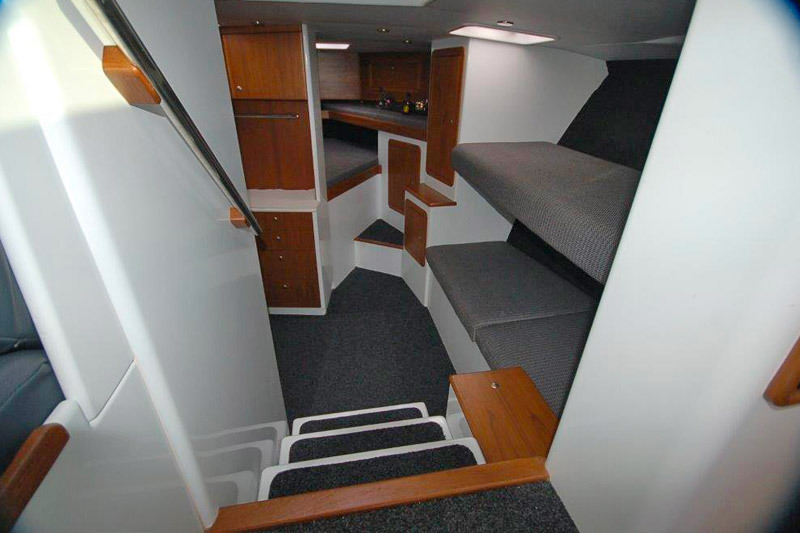 Peter’s partner/director, Steven Menso commenced as an apprentice boat builder with the company in 1990 and was made a full partner in the business in 1996, Steven is a perfectionist and the finish of the product confirms his way of thinking. 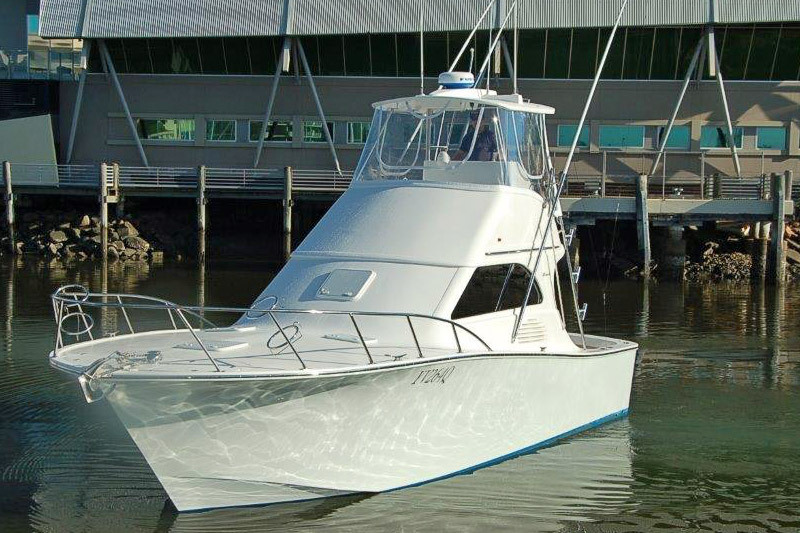 He is fully qualified in all boat building procedures, marine stainless and aluminum fabrication and welding.